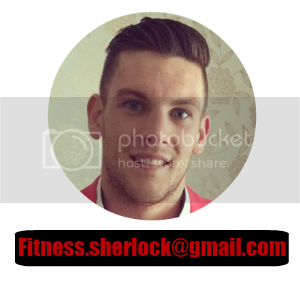 Sherlock Fitness: Over indulging around the festive period? Over indulging around the festive period? So summer has been and gone, the clocks have gone back and we only have 8 more weeks until the dreaded C word. Yes, winter is well on the way and many will fall foul of saying "just one mince pie can't hurt" and then regretting eating the whole packet. This time of year is when most people slip into the mindset of "I'll fix it in January" but why wait till January to get fit?! Yes, the run up to Christmas is full of staff parties, mince pies and other gorgeous foods, but why can't you indulge just a little every now and again and maintain your fitness levels and even improve? Life is about balance. Keep up with your gym routine and try and keep your diet on track as much as possible. Don't refuse to have a treat here and there but also remember to not stuff your face! There really is no reason why you should put on weight over this period other than you being lazy and not exercising because it's cold and wet. Moderation is the key here, as with anything. 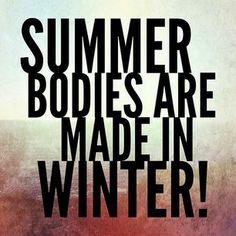 Stick with it and remember "summer bodies are made in the winter".